Young Living carries whole food nutrition in a chewable form for children. 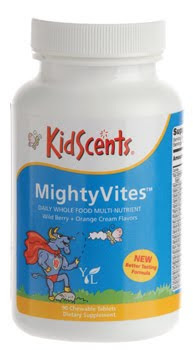 MightyVites are a great tasting (wild berry and orange cream flavors), chewable multivitamin formulated from whole food extracts, especially for children in their early growth years (and also for adult maintenance in late years). Made with Ningxia wolfberry (Lycium barbarum) MightyVites uses nutrient dense suprefruits, plants, and veggies to deliver the full spectrum of vitamins, minerals, antioxidants, and phytonutrients, all in their whole, synergistic and easily-absorbable form. KidScents MightyVites contain: Vitamin A (alpha & Beta carotene), Vitamin C (as ascorbic acid) from oranges, Vitamin D (as cholecalciferol), Vitamin E (as d-alpha tocopheryl acid succinate), Vitamin K (as phytonadione), Thiamine (vitamin B 1 as thiamine mononitrate), Riboflavin (Vitamin B2), Niacin (as niacinamide) (Vitamin B3), Vitamin B6 (as pyridoxine HCI), Vitamin B6 (as pyridoxal-5-phosphate), Folate (as Folic Acid), Vitamin B12 (as methylcobalamin), Biotin, (Vitamin H), Panthothenic acid (as d-calcium pantothenate), Iodine (as potassium iodide), Magnesium (as magnesium oxide), Zinc (as zinc yeast complex), Selenium (as selenium yeast complex), Copper (as copper yeast complex), Chromium (as chromium yeast complex), choline (from soy lecithin), Ningxia wolfberry (lycium barbarum) fruit, tocotrienois (from natural palm oil), lecithin (soy), malic acid from apples, olive (olea europea) leaf extract, curcumins (from tumeric rhizome), broccoli (brassica oleracea) floret, barley (hordeum vulgare) grass, MSM (methylsulfonylmethane), spirulina (s. platensis) algae, boron (as boron AAC), lutein (from marigold flowers), natural flavors [orange juice powder, cherry juice powder, grape skin powder (30% polyphenols), strawberry juice powder, and other natural flavors], sorbitol, fructose, citric acid, silica, magnesium stearate, and dicalcium phosphate. Children 6-12 years old, take three chewable tablets daily. 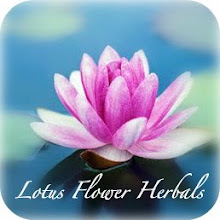 Can be taken before breakfast, lunch, or dinner or in one daily dose.